Put on a hard hat to venture into a historic and restored gold mine at the Country Boy Mine, one of the largest and most famous gold mines in the Breckenridge area. Wear a hard hat while walking in a gold mine over 1,000 ft. underground. View original mining equipment at this restored site. Pan for gold in Eureka Creek and keep all your gold flecks for a souvenir. 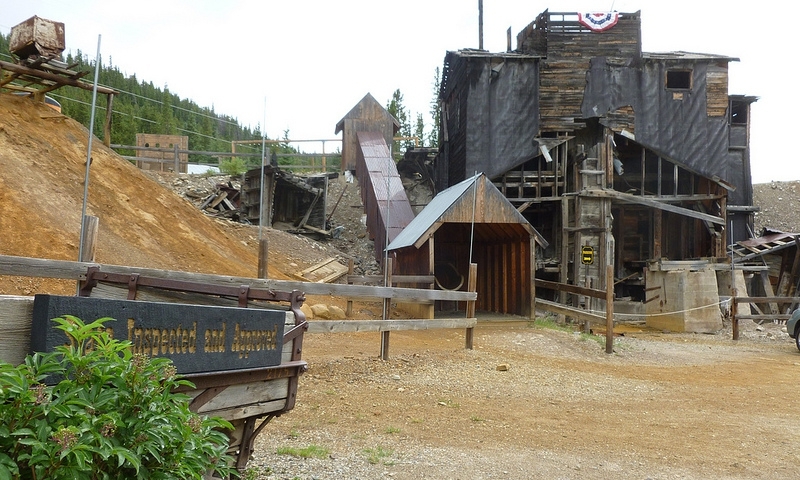 Located just 15-20 minutes from Breckenridge, Country Boy Mine is a Colorado must-see attraction. At a elevation of 9,930 feet and located in the midst of the spectacular Rocky Mountains, the Country Boy Mine in Breckenridge was first established in 1887. This is a real gold mine adventure where you can witness one of the best preserved mining sites in the entire state of Colorado. Once there you can also explore all the old buildings that made the Country Boy Mine. You can go on a tour that will take you 1,000 feet underground and view real miners operating real mining equipment. Pan for gold in Eureka Creek and take home any gold flecks for the perfect Colorado souvenir. From downtown Breckenridge, head east on Wellington Road for 2 miles, looking for the Country Boy Mine on the right. Drive time is 15-20 minutes. For more information, call (970) 453-4405. The Country Boy Mine is open for groups of 10 or more during off times. Historic gold mine near Winter Park Colorado.